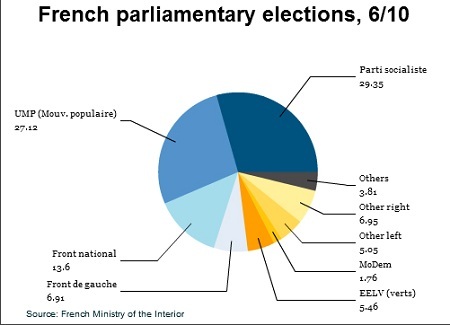 The success of the far-right Front national (FN, National Front) dominated headlines from Sunday’s municipal elections in France. In Paris, though, the mayoral race has shaped into a predictably traditional runoff between the French left and the French right, a personality-driven campaign to determine whether Anne Hidalgo or Nathalie Kosciusko-Morizet will become the first woman to serve as the city of France’s capital. 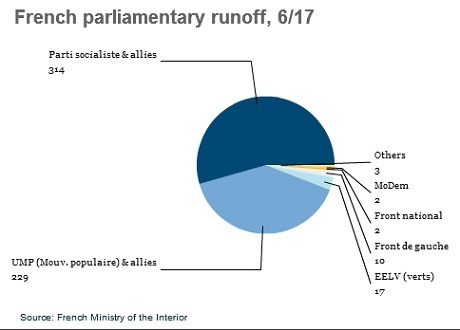 Though president François Hollande and the Parti socialiste (PS, Socialist Party) may be faltering throughout the rest of France, and though Marine Le Pen’s Front national may be cutting into the traditional strongholds of both the Parti socialiste and the center-right Union pour un mouvement populaire (UMP, Union for a popular movement), Paris remains a stronghold for the Socialists. 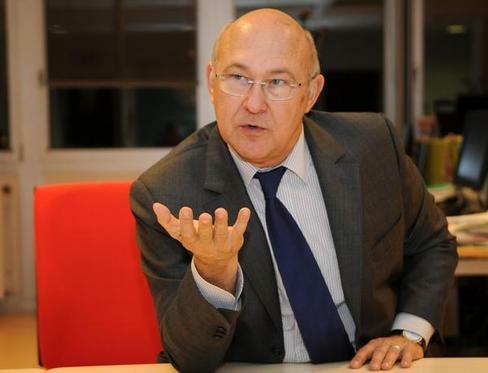 Outgoing mayor Bertrand Delanoë, one of the few members of Hollande’s party with robust approval ratings, is leaving office after 13 years as the city’s third directly elected mayor — former president Jacques Chirac held the office from 1977 to 1995. Polls show that Parisians will likely replace him with Hidalgo (pictured above), an Andalusia-born official who’s served as Delanoë’s first deputy mayor since he took office in 2001. In a city where residents seem largely happy with the status quo and with Delanoë, Hidalgo is the narrow frontrunner to win in Sunday’s second-round runoff. 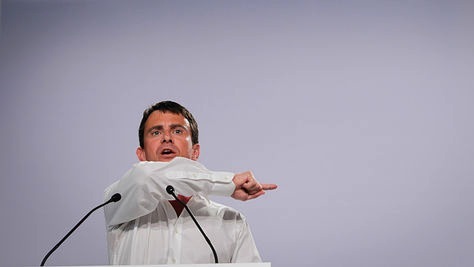 Delanoë’s rise has coincided with the capital city’s leftward shift, as longtime working-class Socialist voters join educated professionals to give the Socialists an increasingly strong electoral coalition over the past decade. As mayor, Delanoë has increased housing and social welfare spending, though he might be most well-known for two things. First, he was one of the world’s first openly gay high-ranking officials — Delanoë’s longtime honesty about his sexuality helped paved the way for greater LGBT acceptance throughout Europe. 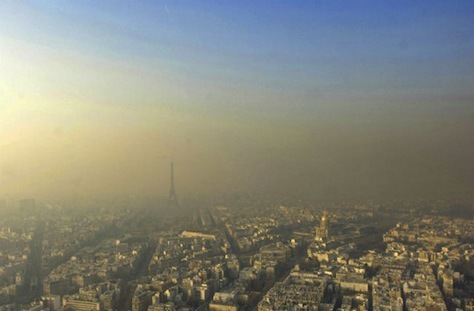 Secondly, Delanoë’s Paris has been at the vanguard of the urban livability trend. He created the Paris-Plages project in 2002, which every summer recreates a beach, complete with sand and palm trees, on the banks of the Seine. In 2007, Paris became one of the first major global cities to institute a bike-sharing programs, Vélib’, which today is the largest program of its kind outside of China. Gaffes from both women have dominated the campaign’s coverage. Kosciusko-Morizet (pictured above), who comes from a wealthy background, has had a difficult time shedding her often awkward aristocratic mien. Her comments romanticizing the Paris metro as a ‘charming place’ overshadowed an otherwise welcome plan to keep it open until 2 a.m. on weekdays. 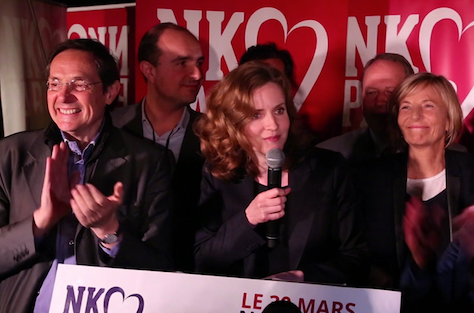 But her background as a rising star from the UMP’s moderate wing, her experience as France’s environmental minister, and her high-profile role as campaign spokesperson for Nicolas Sarkozy’s 2012 presidential campaign makes Kosciusko-Morizet a better fit for Paris than other prominent UMP figures. 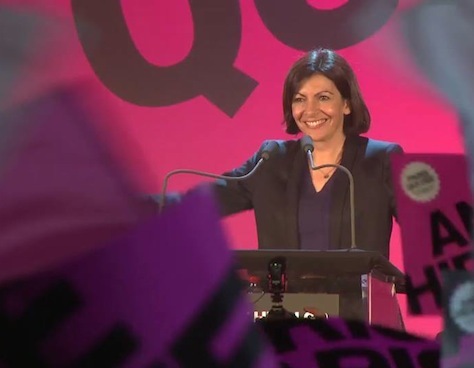 She’s given the French center-right a chance of becoming Paris’s next mayor — even if she loses in the second round to Hidalgo, she has raised her profile considerably. Hidalgo, in the meanwhile, is campaigning largely on consolidating and extending the gains of the Delanoë administration — more green space, 10,000 new homes a year (65% of which would be public housing), and extending not only the Paris metro, but the Vélib’ system to scooters (Scooterlib’) and electric cars (Autolib’).